"Draw the Line Against Keystone XL Pipeline" march in Denver, Colorado. (9/21/13). Images include protesters marching with signs objecting to the proposed Keystone pipeline, advocating alternative energy like solar and calling for action on climate change due to global warming. 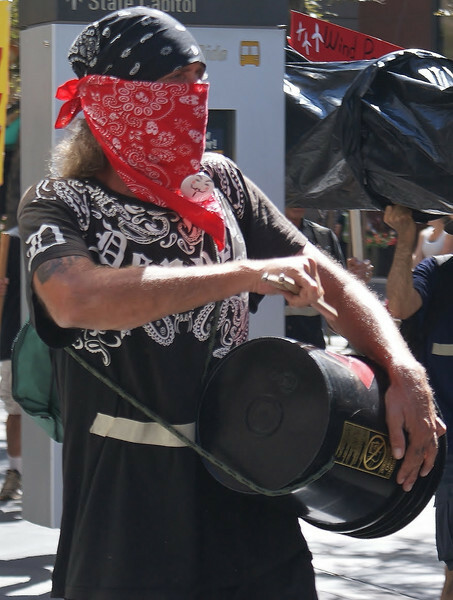 Young man with bandana on head and covering face marching and drumming on plastic bucket at KXL pipeline demonstration.